The Obsidian Staff from LR Weapons is the featured item for We Love Roleplay event for Feb 2017 and it comes with a pretty wings which is highly customizable with a huge palette of colors! 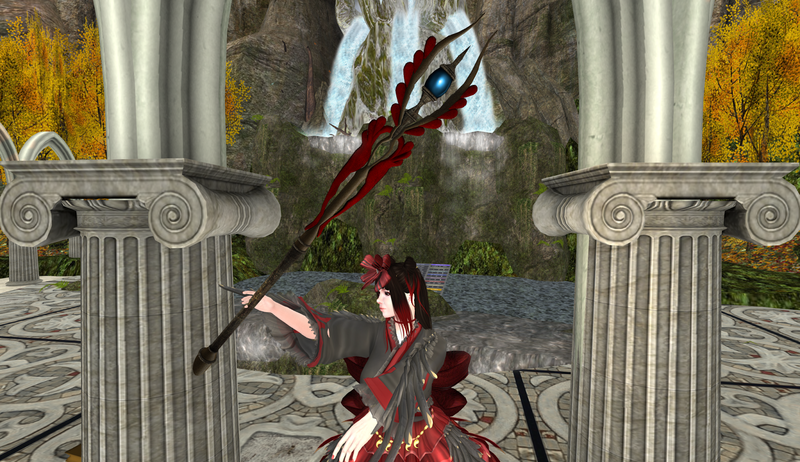 You can see that the red color is specially picked to go with the outfit. Now finally we are one step closer to have fashion for weapons! 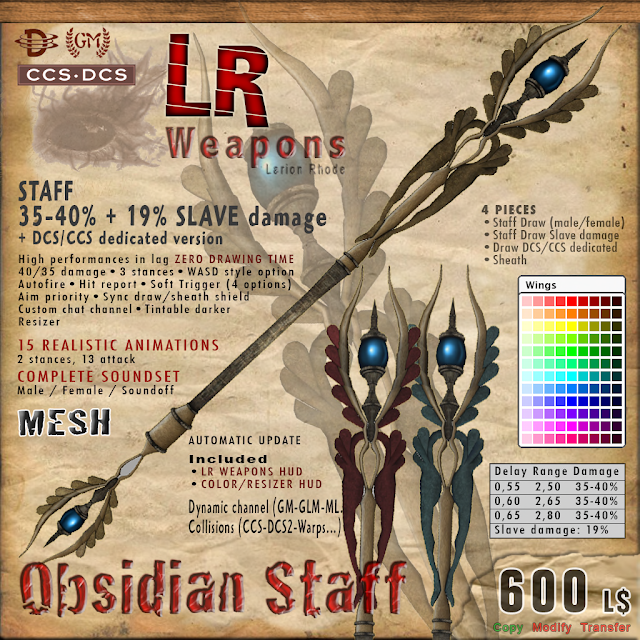 The staff is as high quality as other LR weapons and feature both sword and slave damage and it sling well out of the way on your back when sheath. I bet most people do not even suspect Kitty is armed and though this cute staff is part of the outfit! 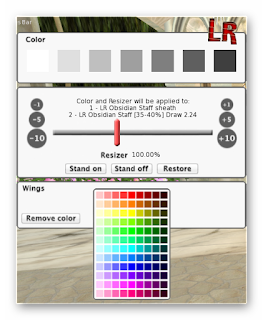 And the friendly HUD made it easy to change color and size! Wow, that is a huge number of colors!